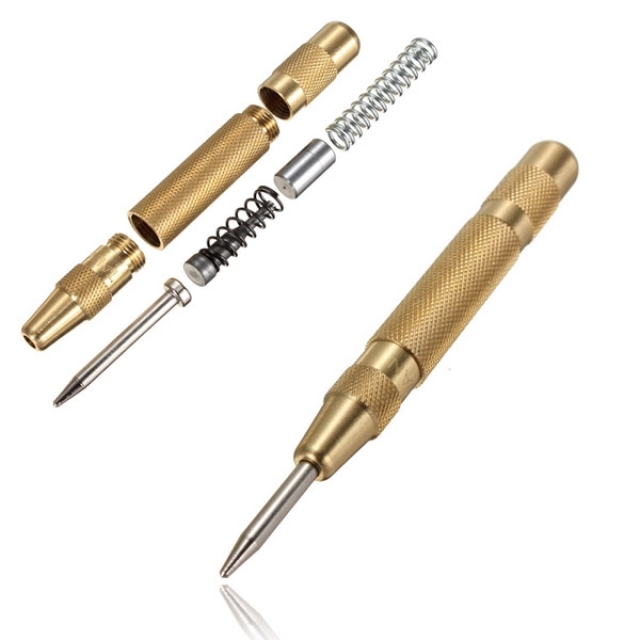 Improvised pen guns made from $3 automatic center punch tools. These reportedly can fetch up to $100 when sold on the street. This entry was posted in Zip guns and improvised firearms and tagged DIY, Ghost Guns, gun control, homebuilt guns, homemade .22, homemade firearms, improvised firearm, improvised firearms, improvised weapons, Not 3D printed, zip gun, zip guns on April 21, 2019 by ImproGuns. 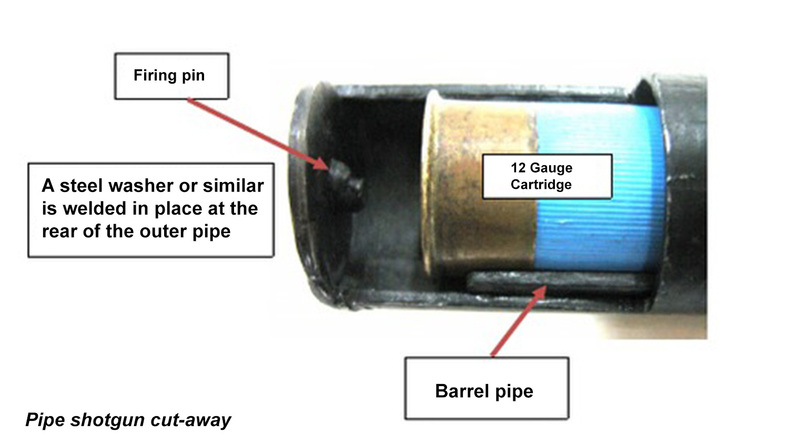 A homemade 12 gauge slam type shotgun with the addition of a captive ‘pump’ barrel and loading window cut into the outer pipe. 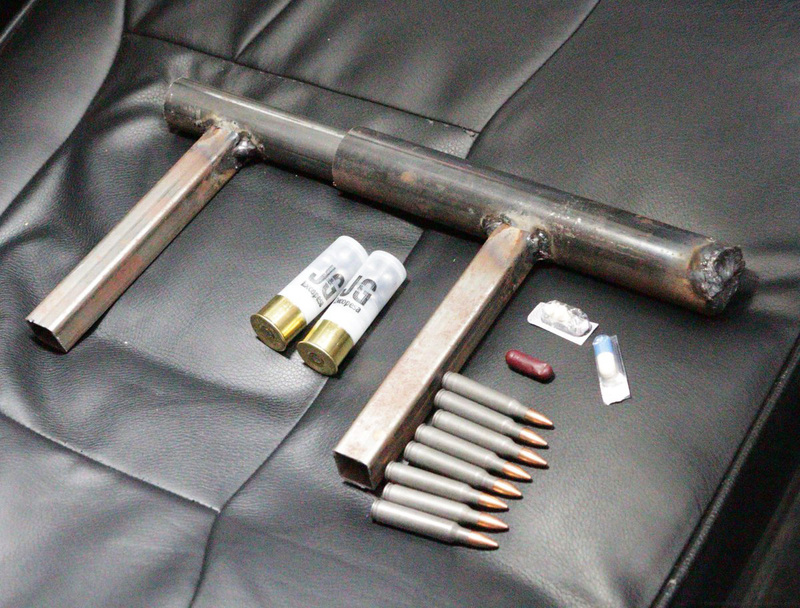 This entry was posted in Shotguns, Zip guns and improvised firearms and tagged Brazil, DIY, Ghost Guns, gun control, guns, homebuilt guns, homemade firearms, homemade gun, homemade guns, Not 3D printed, pipe guns, pipe shotgun, zip gun, zip guns on April 19, 2019 by ImproGuns. Police in Papua New Guinea’s second largest city of Lae shot dead armed man after his gang tried to rob vehicles. 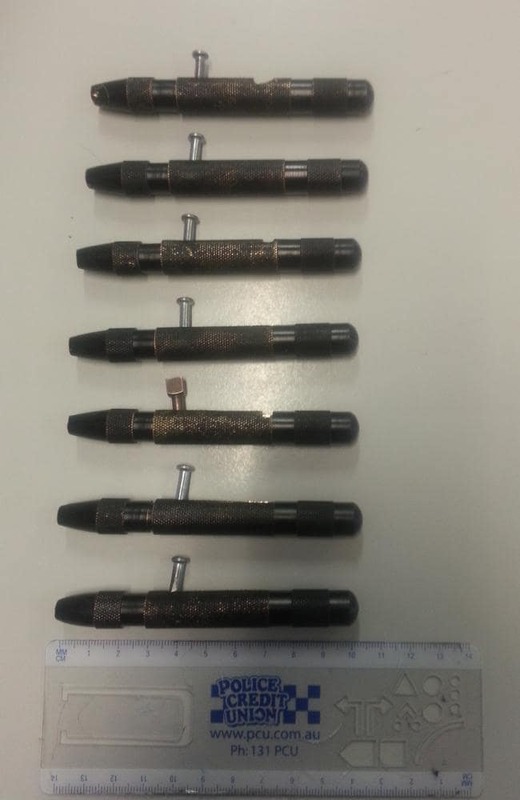 According to Police statement via social media, a “Special Response Unit (RSU) was patrolling the city roads when they came across three armed men. The three men were standing in the middle of the road, attempting to hold up vehicles travelling on the opposite of the freeway travelling outbound Lae. The three armed men had already stopped vehicles, leaving a long queue of vehicles trying to escape by negotiating how to turn around while some had pulled aside”. One of the armed robbers was shot dead and homemade gun recovered at the scene. This is the second shooting in a matter of weeks in the same area. 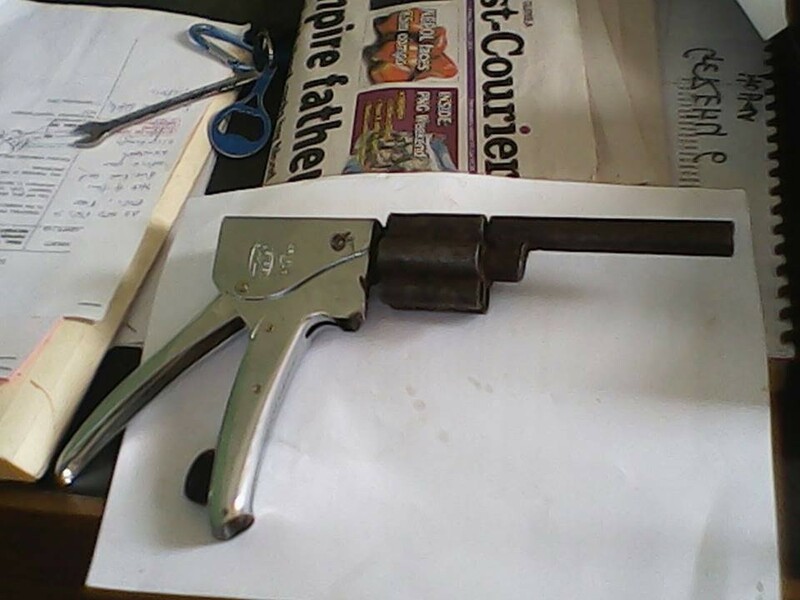 This entry was posted in Zip guns and improvised firearms and tagged homebuilt guns, homemade firearms, homemade gun, homemade guns, homemade pistols, illegal firearms, Papua New Guinea, stapler zip gun, zip gun, zip guns on March 31, 2019 by ImproGuns. This entry was posted in Shotguns, Zip guns and improvised firearms and tagged DIY, firearms UK, Ghost Gun, Ghost Guns, gun control, Gun crime UK, homemade firearms, homemade gun, Not 3D printed, pipe shotgun, rebore gun, zip gun, zip guns on March 17, 2019 by ImproGuns. 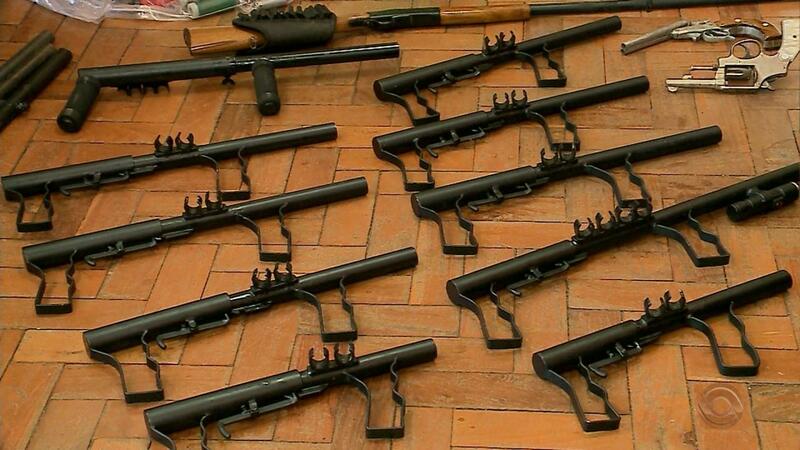 Shotguns made by a 29 year old man who was arrested while trying to sell one of the weapons at a bus station in the Central Region of Rio Grande do Sul, Brazil. Each appears to be an improvement over the traditional improvised design with the addition of a ‘trigger’ type safety / barrel lock leaver. 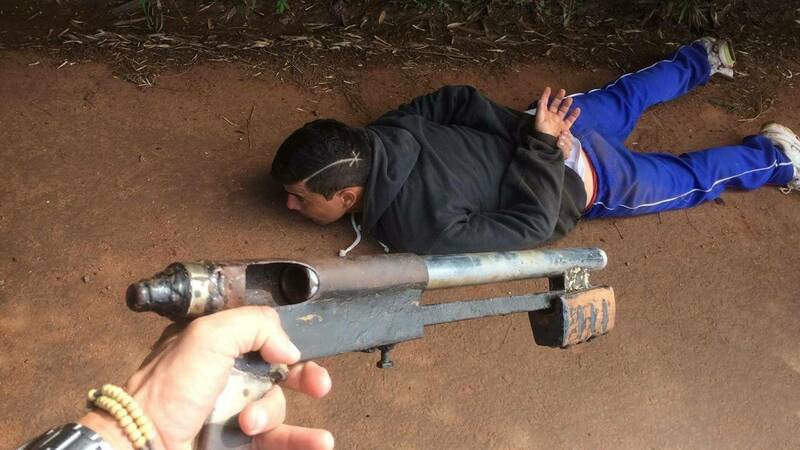 This entry was posted in Shotguns, Zip guns and improvised firearms and tagged Brazil, crime, DIY, firearms, gun control, guns, homebuilt guns, homemade firearms, homemade gun, improvised firearm, improvised weapons, Not 3D printed, pipe gun, pipe guns, slam fire shotgun, zip gun, zip guns on February 24, 2019 by ImproGuns. 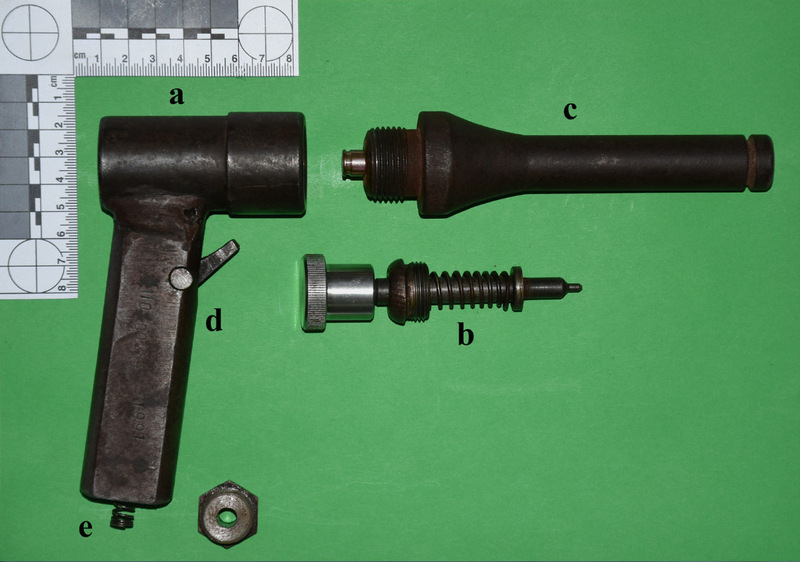 An improvised 9mm firearm fashioned using parts taken from a captive bolt gun. This entry was posted in Single-shot pistols, Zip guns and improvised firearms and tagged DIY, firearms, gun control, homebuilt guns, homemade firearms, homemade gun, homemade pistols, illegal firearms, improvised firearm, Not 3D printed, zip gun, zip guns on January 6, 2019 by ImproGuns.